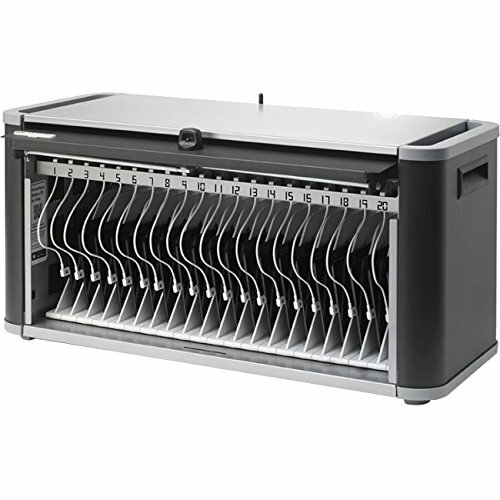 Introducing the Power Sync + Station 20, the world's first app-enabled charge and sync station for iPad devices. The Power Sync + Station 20 sets the new standard with ground breaking features that allow you to remotely check connected devices, freeing up time for you to focus on other tasks. With the Power Sync + remote status app, you'll always know once your iOS devices are fully charged and ready to go. You can even be notified when devices are disconnected after hours. The Power Sync + Station 20 offers greater scalability, optimized charging and next generation security all while keeping true to the standards set by the Power Sync family of products.